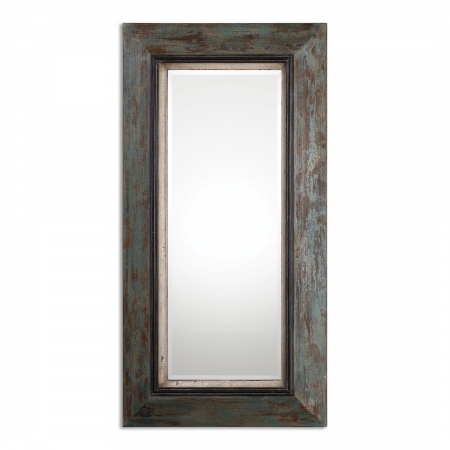 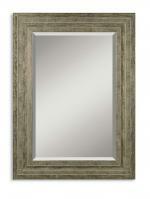 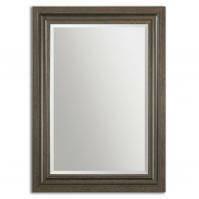 This rectangular mirror sits in the center of a wide frame colored in a heavily distressed teal tone. The inner rim is finished with an antique gold hue that accents the main color and the reflective surface very well. 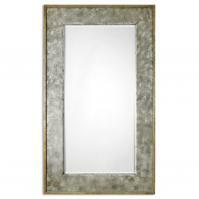 This is a decent size piece that will bring a lot of functionality as well as great style to the home.